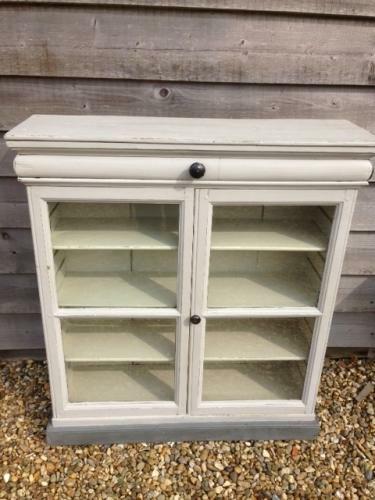 Antique glazed wall cupboard ideal for kitchen or utility. Adjustable shelves. Narrow drawer at top.